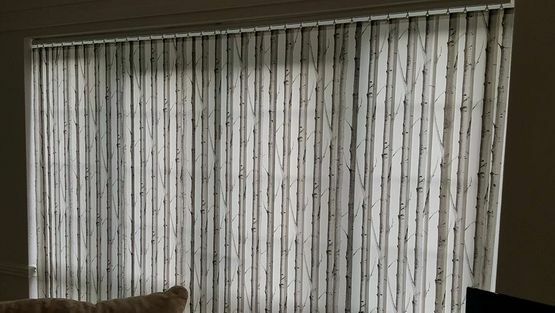 Based in Stoke-on-Trent, Staffordshire, Avalon Blinds provides bespoke fabric blinds, ideal for domestic and commercial customers. Our team is also able to offer blinds to schools, and all of our vertical blinds meet child safety standards. We know how important this is, which is why we’ve developed products that meet these standards. The blinds we offer come in thousands of modern fabrics and colours, so whether you want something light and contemporary or bright and colourful, we’re here to help. We use only British Suppliers for our fabrics and components. All of our vertical blinds are high-quality, and everything is made from British components and fabrics. Once we’ve bought the fabrics we manufacture your blinds from scratch, ensuring your brand new set of blinds is made to measure and perfect for your home. We also supply curved rails for curved bay and bow windows. 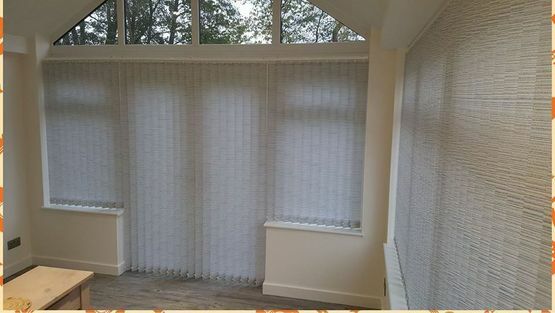 If you’d like a new set of blinds from us, we come to your home to conduct a quote for you. When we visit we bring samples to you, meaning there’s no hassle when making a decision. We carry out everything in your home, so you can see how the blinds look before you commit to a purchase. We offer a hassle-free aftercare service, so if you need us in the future, we’ll be here to help. 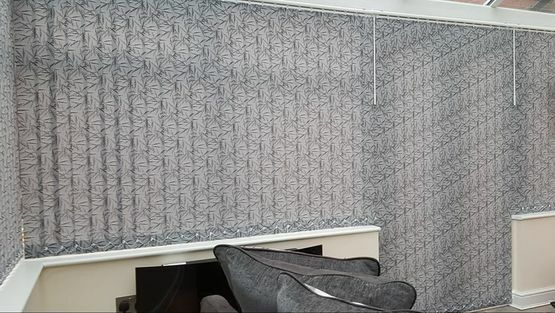 CONTACT US, in Stoke-on-Trent, Staffordshire, to find out more about our vertical fabric blinds.